Purchases information - Figuras de Belén, Barro cocido y pintadas a mano. The goods will be sent by mail or agency of rapid transport. Shipment will be done previous payment by transference to the account that it is indicated. It could be done also by paypal. The orders will be delivered at the address indicated in the maximum term of 30 days, having as deadline of final orders of November for orders that want to be received until December. Payments by e-mail. Paypal . 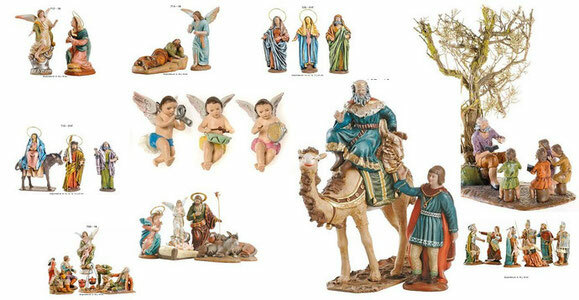 Choose his figures, send to us his request to the mail address beleneslaravid@gmail.com, indicating the serial number, the quantity and the size that you wish, pointing out your name, direction and telephone number. Shortly we will send the access to paypal so you could realize the payment in a comfortable and sure way with your credit card. We are in Murcia España.